Sheena Stephenson was facing a daily 15-to-20-mile trip each way for classes in the University of New Mexico (UNM) College of Nursing when she learned UNM was launching a nursing program in Rio Rancho. “As soon as I heard about it I was ecstatic, because I found out it is so much closer,” Stephenson says. 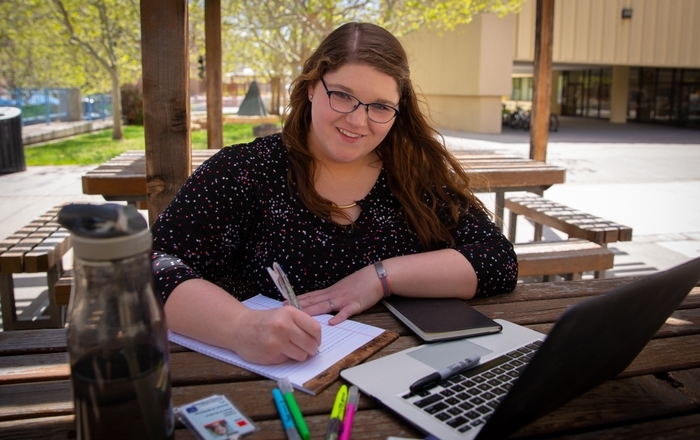 Stephenson is one of eight students beginning their nursing education at the UNM Health Sciences Rio Rancho Campus for the 20-month program. The possibility of any inaugural glitches did not faze her. 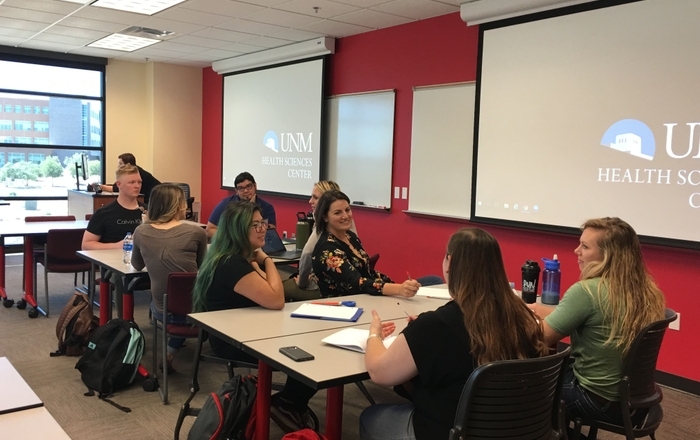 The UNM Health Sciences Rio Rancho location was a logical choice for expanding the nursing program, according to Sue Koronkiewicz, MSN, RN, CNE, undergraduate program director for the LEND Nursing Faculty, and the College of Nursing. On a national level, nurses are retiring at a much faster rate than new ones are being educated, she says. The expansion helps the College meet goals for increasing the numbers of bachelor-prepared nurses in the state. “It is also ideal for us, since we are going to be able to explore a more partnerships – from the public schools to rural agencies – where our students can make an impact,” she says. New Mexico has a deficit of nearly 3,700 registered nurses (RN) with most of those slots being in rural areas. 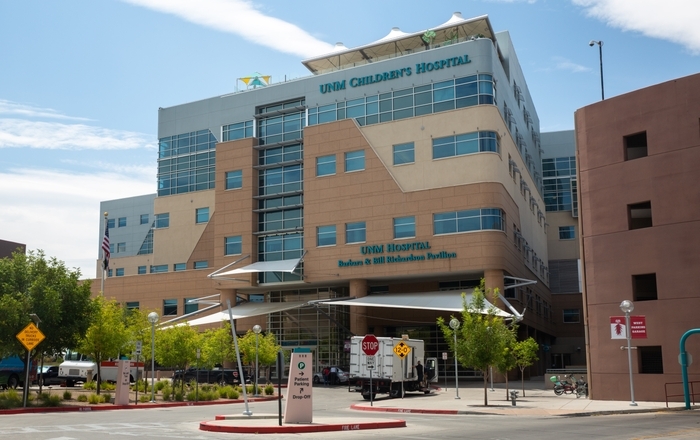 While more than 17,000 RNs are licensed in New Mexico, most practice in urban areas. Some 34 percent of the state’s 2.1 million residents live in rural and frontier counties, but most of the RNs practice in urban areas, according to the 2017 New Mexico Health Care Workforce Report. The Rio Rancho will have dedicated nursing faculty using on-the-ground instruction in conjunction with live web-conferencing with nursing classes at the main Health Sciences campus. Even before classes began, students were texting back and forth about the upcoming schedule. “We do not have to worry about establishing a study group – we are all right here,” Stephenson says with a laugh.